What are the definitions of “obese” and “morbid obesity”? I'm considering weight loss surgery, is there anything I should know before making a final decision? Will having weight loss surgery mean I can eat anything and not exercise? What are the risks involved in weight loss surgery? Obesity is defined as the excessive accumulation of fat that exceeds the body’s skeletal and physical standards. Morbid Obesity is defined as a serious disease process in which the accumulation of fatty tissue on the body becomes excessive and interferes with or injures the other bodily organs. This can cause serious and life-threatening health problems, which are known as co-morbities. The goal in managing and treating obesity is to decrease a patient’s medical risk and improve the quality of life. An appropriate weight management program combines physical activity, diet, behavior modification, psychological counseling and sometimes drug therapy to help patients achieve weight loss or prevent further weight gain. Weight loss surgery is major surgery. Although most patients enjoy an improvement in obesity-related health condition, such as mobility, self-esteem and self-image after the successful results of weight loss surgery, these results should not be the overriding motivation for having the procedure. The goal is to live better, healthier and longer. NO! Surgery is the beginning of a disciplinary process and exercise is included in the process. There is a very special diet that MUST be followed after surgery, and you MUST commit to the program. Surgery proves a tool for weight loss with a life time commitment to change. 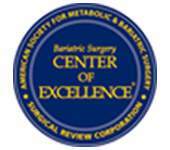 Weight loss will vary depending on your weight prior to surgery. After surgery, your choice of foods and level of activity will change. The majority of patients lose one-third of their original body weight within two years of surgery. One of the most common risks or complication with any surgery is a blood clot that forms in the legs and moved its way up to the lungs and blocks an artery. The result of this can be a heart attack or even death. It is extremely important to get out of bed immediately after surgery and moving around. Anti-clogging medications are also administered. Sometimes a mass at the site of the surgical incision forms caused by fluid within the tissue. This happens when bacteria penetrates the site of a surgical incision. This may occur when there is abnormal communication with the stomach to other organs in the body. Occurs when there is an opening, or splitting of the surgical suture line. This is leaking from the staple line around the newly formed pouch or at any new connection that may have been made during surgery, including to the small intestine.